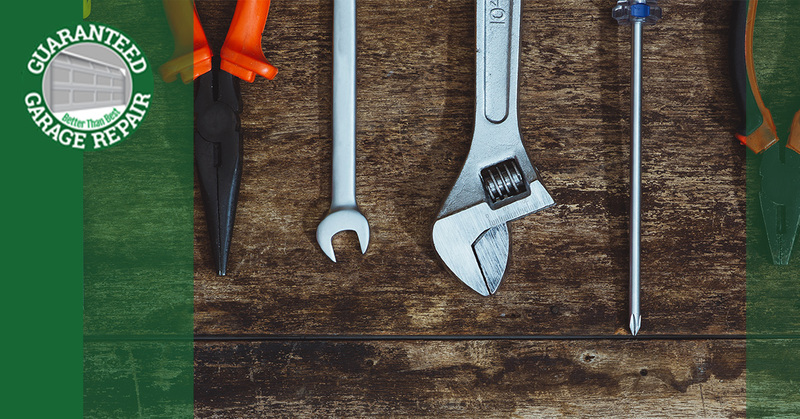 In the world of garage door repairs, homeowners can run into a lot of confusion concerning the cost, longevity, and performance of a wide range of services. Placing your trust into an inexperienced garage door company can put your home at risk for many costly problems. Florida residents seeking out quality garage door repairs in Stuart, Port St. Lucie, and along the Atlantic Coast can find peace of mind when they sign on with Guaranteed Garage Repair. Our garage door repair experts are trained in providing the absolute best results across a wide range of customer needs to provide quality results that are guaranteed. After more than 20 years in the business, we are proud to provide the most comprehensive garage door services across the state. Over this time, we’ve run across a wide range of questions from curious customers. Today’s post will try to dispel some of the myths and misinformation surrounding garage door springs and their role in your overhead door system. If you are looking for assistance with your garage door, be sure to contact our team for assistance! How Long Will My Garage Door Springs Last Before Replacement? Spring rating – Garage door springs are rated to last for a certain number of cycles, such as 10,000-use or 20,000-use options. Frequency of use – How often you open and close your overhead door system will play a major role in its longevity. Utilizing your roll-up door two times a day year-round, for example, will last nearly 14 years. Relying on that same door six times a day, however, will necessitate a replacement before the five-year mark! Spring type – While torsion springs are designed to perform excellently over the long term, extension springs’ availability and affordability have made them a top choice across the nation. Extension springs will often require more replacements more frequently. System condition – Areas with high concentrations of moisture face environmental dangers such as rust, which can dramatically reduce the safety and effectiveness of your roll-up door system. When properly cared for, your garage door springs can last up to 15 years, or longer in some cases. Guaranteed Garage Repair is here to deliver top-quality results with all of our garage door services, and we guarantee the results for your long-term peace of mind! Are Garage Door Springs Universal Fits? The days of relying on one or two spring sizes are gone, making it essential for homeowners and garage door companies to find the perfect match for each system. Every garage door size, type, material, and style can change the demands placed on your home, so be sure to do your research! Can I Replace One Spring Now, and One Later? While it can seem more cost-effective to only pay for garage door spring replacements as needed, we highly recommend that you swap them both out at the same time. Even if one spring looks to be fine after the other has worn out, bear in mind that both components are the same and have been placed under nearly identical conditions. Unbalanced doors can cause one side to wear out quicker, giving homeowners months, weeks, or even days before the other side fails. Homeowners expecting to save money by opting out of replacing both garage door springs may soon be calling for an additional service by a professional, increasing the cost, inconvenience, and time needed to repair their system. While we have only covered three FAQs concerning garage door springs, the team here at Guaranteed Garage Repair is here and happy to assist you with any questions or concerns. Next time, we’ll continue this topic by highlighting a few more answers that may benefit your Florida home. Our team is here to provide Top Rated Local® garage door repairs to Stuart, Jupiter, and the surrounding areas. Be sure to contact us today for garage door services so reliable that we guarantee the results!